Here we go, let the community decide which should be the first game! Edited by Ignorama, Sat Nov 4, 2017 2:04 PM. I just changed the poll, because I played Motocross right now and it plays like a bad version of SMB. SMB is rare and expensive, Motocross is much easier to get hands on, but its also the worse game in my opinion. So I let the choice for you guys, if you want to play a racing game which one it should be. Edited by Ignorama, Sat Nov 4, 2017 2:35 PM. Glad were on our why to another HSC!!! I suggest making the next pool by eliminating one or two less voted games and adding two or three new games (the winner game is, of course, eliminated too). Aww man! I'm the only one who likes Star Strike? C'mon! It's the Death Star Trench Run from Star Wars!!! Yes, but you didn't vote for it, or there would be more than one vote. Aha! May the Force be with us! Astrosmash is a worthy game, but can be an endurance run. My longest game took a few hours to get around ~600,000. Demon Attack is one of my favorite games, but I haven't really gone for high score, so I hope it makes an appearance this season. Frogger and Motocross are games I've played very little, so I'm intrigued by both. Star Strike is a game I wish I liked more, but it seems pretty basic, unless I'm missing something. I think Star Strike would be damn hard, because the Arcade Mode is completely unforgiving. So far it looks pretty close between four choices... 5 days to go!!! Still a lot of time, but I guess if its tied on friday we have to throw a coin. There's no reason you can't have the contest with Star Strike level four. Level five and six are more frustrating; you can't miss one target. No way to prove what level is being played but since you move slower at lower levels you should get the highest score at higher levels. Like Shark Shark a few Intellivision games got unfairly difficult suddenly. Eg. B17-bomber, locknchase, deadly discs; although deadly discs is still playable. It's like the programmer thought, that's enough time, time to end this. You mix something up: The only mode we could play would be Mode 6. Its the only Highscore-Mode. All other modes just have a countdown til the planet is safed. It ends at 0. Just mode 6 counts your score and so you would in fact have a highscore. BUT, and I am damn serious: Don't vote Star Strike, you definitely will regret it! Its simply unfair, not just hard. Sometimes you get a accustic information about the next hit point, but sometimes you just dont and even if you hear the sound its pretty hard to hit the target. I am not the worsed player and I am sure I could get some points in that game with more training, but in the short test run I not even hit the second target. And I wont sound arrogant, but I am afraid many players would just hit the first target and nothing else. Its really unfair, may check it out before you put your vote on Star Strike. I did not tested Demon Attack until now (just played it for fun years ago), but it can't be worse than Star Strike. 2. As you said: there is no chance to see what mode was chosen. In theory you are maybe right: Higher Modes allow a better score (did not checked it), but in reality you lose a lot more time if you miss one target, because you have to run a complete round around the death star. 3. The best possible score would be to hit every enemy and every target first try. Its not easy, but also not too hard I guess. But its definitely way too easy for a HSC. Infinite Arcade games are the best ones, because only they motivate players to put their best into it. 4. Its a lot RNG in your idea. Sometimes the enemies kill each other, sometimes don't. Also sometimes they fly right in front of you and sometimes out of your reach. You can never avoid RNG competely, but Mode 4 requires a lot of RNG by default. 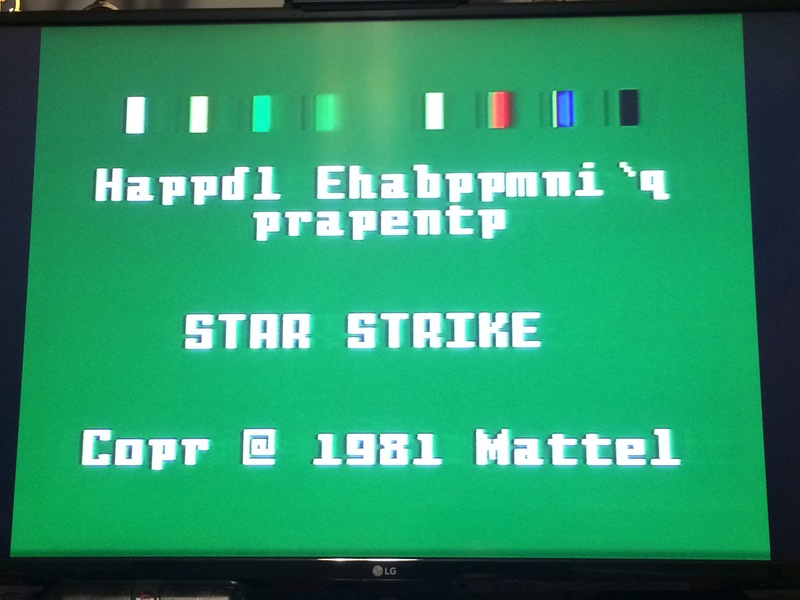 So if you choose Star Strike, you chose the Game in Mode 6, not Mode 4. I am sorry about that, but I hope I explained you why Mode 4 isnt appropriate for a HSC Challenge. 3 people pick the frog he is almost yoda looking. I'm with Ignorama on this star strike game issues. But all good with what ever game wins.